I have produced more than 100 comedy shows in the last 13 years. 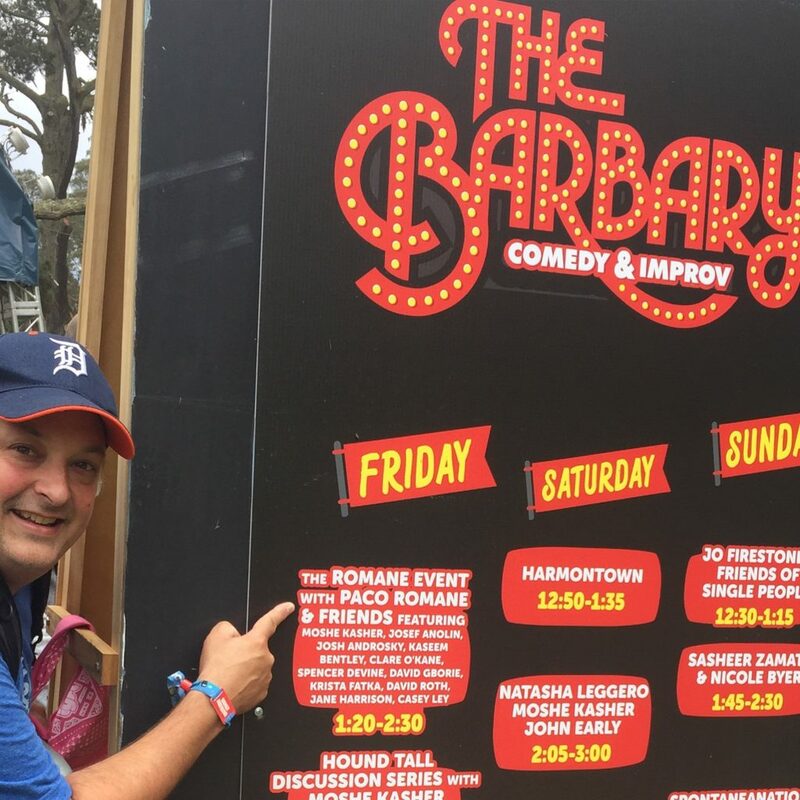 I have produced shows in my living room (Casa Comedy) for 4 people and at Outside Lands for 400 people. For 2 years I produced The Killing My Lobster Kabaret which turned into The Romane Event Comedy Show which has lasted 13 years. I produced many Killing My Lobster Main Stage shows that would run for 3 weeks in mid-range theaters most of them sold out with hundreds of people in attendance. I produced many Killing My Lobster SF Sketchfest shows which were all sold out and got rave reviews. I have also produced many comedy videos which is a separate entity from live shows but we can venture into that as well. I also produced the very first Kalamazoo Jazz Festival and 2 podcasts. Many of the shows that I have produced have been featured in newspapers, lauded by audiences and comedians alike and praised by the liked of The Onion. We will learn all the “ins and outs” of producing a live event, how to best market and promote the show, how to make and send press releases, how to create a budget, finding the right talent, booking, setting line-ups, dealing with bars or theaters, how much to charge and much more.